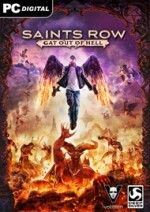 Outside of retconning Saints Row’s lore, or sending the 3rd Street Saints on a time-traveling adventure, Gat Out of Hell would appear to be the final outing for the purple fleur-de-lis. Over the course of four games, the Saints paved a trail of glory unlike anything we’ve seen. Their ambitions started small: liberate Stilwater’s streets from the violence inflicted by rival gangs. That endeavor led to great fame and power: fast cars, skyscrapers, armies, and even control of the White House. With the Saints’ leader standing tall as the President of the United States of America, this small gang became humanity’s last hope against alien invaders. The Saints won out in the end, but not before Earth was destroyed. Humanity was decimated. The last hope for our species to survive lies drifting aimlessly in space with the Saints. And that ridiculous timeline of events leads us to one place the Saints haven’t been: the afterlife. Holding true to this series’ bombastic approach to storytelling, their mission is to assassinate Satan and bring hope to all of the souls he's damned. 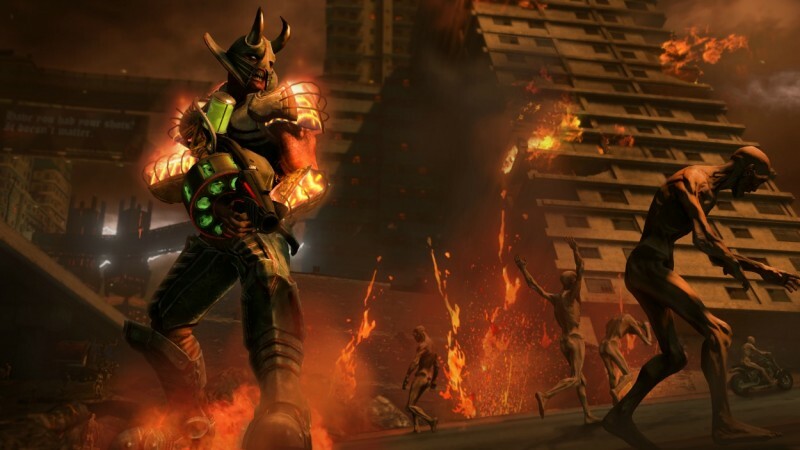 Developers Volition and High Voltage Software interpret Hell as a thriving metropolis (called New Hades), lit mostly by the fire in the air and the molten rivers running underneath it. The city consists of ominous black skyscrapers, a rundown industrial district, soil infested with angry tentacles, and roads filled with rusted cars and monster trucks spewing fire. 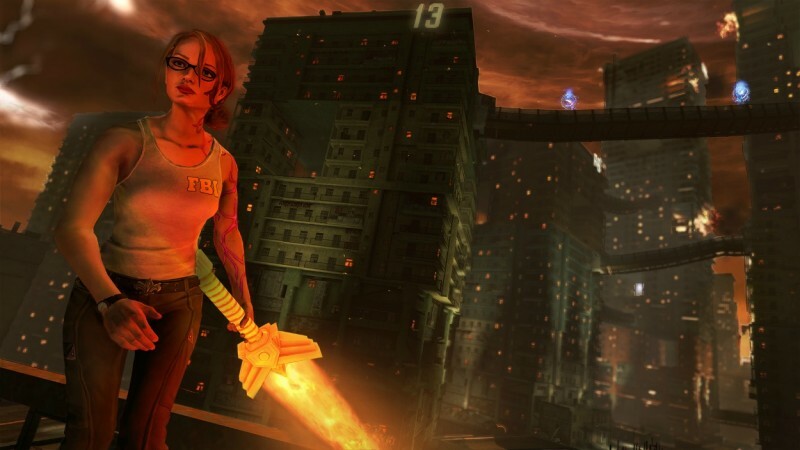 Unlike previous Saints Row games, a player-created character is not the star of this outworldly adventure. Johnny Gat and Kinzie Kensington, two of Saints Row’s most popular characters, sprout angelic wings and are our guides through this dangerous place. Through the ridiculous conceptual setup, Volition and High Voltage find a fun way to raise the stakes for the 3rd Street Saints. The series continues to spiral further out of control with each new entry, and this installment pushes that boundary even further, peaking with a hilarious musical number that sees Johnny Gat, Satan, and the devil’s daughter expressing their feelings in a song that seems like it was stripped right out of a Disney movie. The storytelling is a highlight of this standalone expansion. The gameplay is infused with light hellish themes but lacks creativity, making this Saints Row experience the least inspired yet. 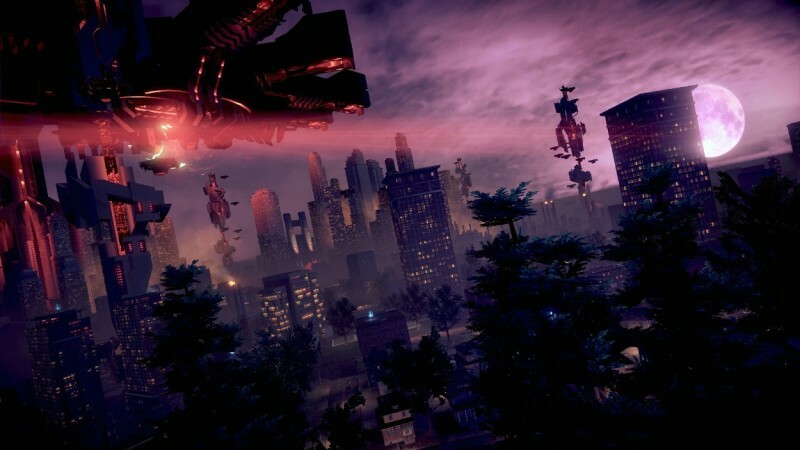 The majority of the gameplay concepts are re-skinned from Saints Row IV, and most of the experience lacks complexity and unfolds through rote shooting galleries. Completing objectives for characters like William Shakespeare, who has holed himself up as a DJ in one of Hell’s nightclubs, brings amusing dialogue, but without the follow through of a legitimate mission it feels like part of the game is missing. The creative mission structures from previous Saints Row games are nowhere to be found here. Johnny Gat even makes fun of this point. The majority of the critical path content is tied to loyalty mission checklists, in which the player must just complete a wide variety of side content. 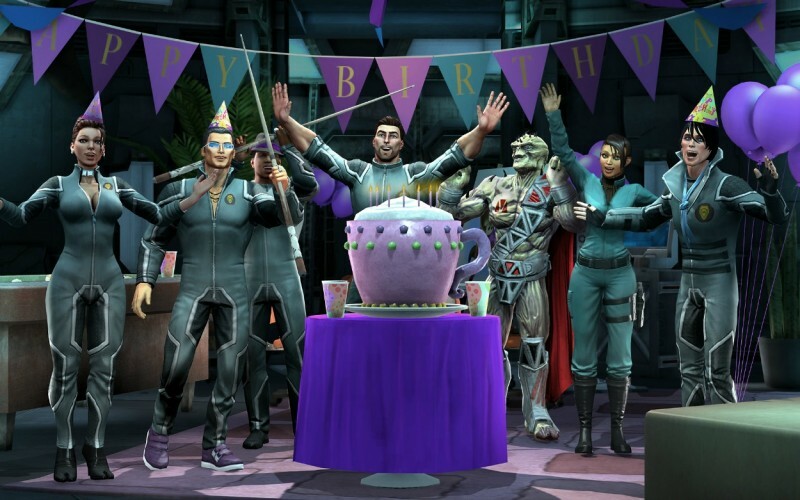 The diversions and activities, my favorite parts of the last few Saints Row games, fare well, but again are largely built around Saints Row IV’s conventions. With the story campaign only consisting of a handful of missions – which can be completed in a couple of hours – most of your time goes into side activities like Mayhem, Survival, Fraud (now called Torment Fraud), Tank Mayhem, and ring-based races. You can also beat the crap out of frat boys in Pledge Rush, a scoring-based activity that pushes you to launch sweatered college kids hundreds of feet into goals. I enjoyed most of the side content – as familiar as it is – and found the time was well invested, as leveling up once again does a nice job of empowering you with godlike abilities, especially for flight. This is going to sound a bit odd for a Saints Row game, but the best part of Gat Out of Hell is the overworld exploration. Soaring across the city with giant angel wings that stretch to both corners of the screen is surprisingly satisfying, much like the web swinging in a Spider-Man game. The flight controls are beautifully executed, giving players a great sense of speed, and a level of precision that allows for tiny corridors to be threaded. Flight isn’t just used to reach mission markers. Much like Saints Row IV’s version of Steelport, Hell is covered in hundreds of glowing orbs to hunt down. I would often get sidetracked in the collect-a-thon aspect, gliding every which way to grab more orbs, which sometimes separate into five shards that you must grab in sequence without touching the ground. Johnny and Kinzie are equipped with a wide variety of superpowers that are stripped right out of Saints Row IV's VR sequences. The powerful stomp move, which sends out a lethal shockwave, is back in nearly identical form. The freeze blast also returns, but now turns enemies to stone. The one creative addition is the ability to summon gremlins that bite at the ankles of Satan's underlings. The selection of weapons is equally familiar, until you come across the recliner chair outfitted with heat-seaking rockets and dual miniguns. That weapon is one of the series' best, but it does limit movement for obvious reasons. Gat Out of Hell comes up short in mission variety, but concludes in a tantalizing way: with five different endings. Could one of them point to the future of the series? Time will tell, but if this is indeed the last hurrah for this continuity of the 3rd Street Saints, it’s been a hell of a ride, Volition. The 3rd Street Saints' latest adventure is short, funny, but lacking in mission complexity.